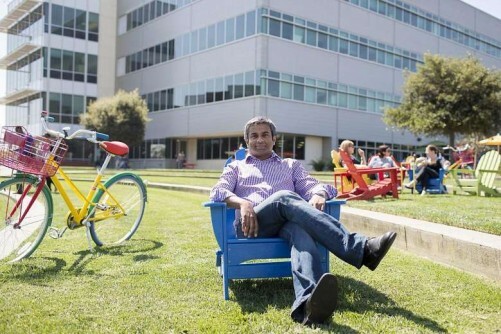 Singaporean Muhammad Mohsin admits to being awed by the work environment and staff perks provided by his employer Google, when he started work as a software engineer at Mountain View, California, four years ago. Who wouldn't - with perks like stock options, massage rooms, nap pods, laundry services and hairdressers, and mechanics for your car on site? If you didn't have a car, there were commuting shuttles with Wi-Fi on board. The numerous restaurants, cafes, juice bars, microkitchens and pantries appear to confirm the rumoured "150-feet rule" that stipulates no "Googler" should be farther than this distance from a food outlet. He has also received and awarded "peer bonuses", where Googlers can arrange for the company to pay surprise bonuses - to show appreciation to a colleague who went beyond the call of duty. But what drew the Singapore Management University (SMU) graduate to Google, and still excites him, goes beyond perks. "You get to work with really smart, driven people. And despite being so smart, they are always ready to help - what we call 'Googleyness'. "Plus, and this is a big plus - you get to do really interesting work," says the 34-year-old, who set up two start-ups developing phone applications after graduating from SMU with an information systems management degree. He had tried for a job at Google as a fresh graduate, but got a call only three years later after Google saw a mobile game he had developed and put online. He is a member of the team working on G Board, the keyboard that lets users search and send information, GIFs, emojis and more, as they type. The office culture and impressive staff perks helped Google nab the top spot in Fortune's annual list of the 100 best companies to work for - again - just two weeks ago. The company, which employs 72,000 people worldwide, including 1,000 in Singapore, has been named the top workplace for the sixth straight year. It's the eighth time in 11 years that Google has topped the list. So, how does one land a job with the world's best employer? Will top grades and a degree from a top university help one stand out from the two million to three million who apply for a job at Google every year? Google's vice-president for staffing and operations Sunil Chandra gives a firm "No". He says Google has used data analytics for years to figure out how to hire people with the right fit. "There is no correlation between our good hires and the universities that they come from or their GPAs," says the Australian-trained engineer, quickly adding that he is not encouraging anyone aiming for a job at Google to drop out of college. He explains further: "Just because you did well in university, it does not mean that you are intellectually curious and you have skills and passion to produce great products, which is what Google is looking for." What about the impossibly difficult and punishing brain teasers that Google is famous for? He goes on to what it is that Google looks for. Ability is important, though it is not academic ability that the company looks for, but problem-solving ability. The second thing that the hirers look for is role-related – essentially, whether you have the skills required to do the job. “That’s taking charge and leading. He stresses that this quality is important,because the tech giant wants its employees “to look at things we do, the way we do them and tell us how we can do it better”. The final thing is the “Googleyness” that Mr Muhammad referred to – a combination of passion and drive and being a good team player. To find this, Mr Chandra says they look for people who work well in teams and have innate curiosity. Google used to conduct many interviews before deciding on a person, but through analytics, the company has determined that after four interviews, they do not achieve a much greater degree of confidence about whether the interviewee is a good fit for a position. As a result, they have capped the number of interviews that they will put a candidate through. He also reveals that Google uses hiring panels, including many of its employees, to interview applicants. To date, Mr Muhammad has been part of more than 100 interview panels. “Hiring is pretty much part of everyone’s job,” says Mr Chandra. He also highlights the importance of diversity. “We have done multiple studies that show us that we build better products by having teams that come from different backgrounds with different perspectives. Any advice for young people aspiring to work for great companies like Google? They must use their time in university well, he says. He admits that Google uses an inordinate amount of resources and people in recruiting and developing the right talents. He says one great employee is worth a lot to the company. “We are in an age where a single person with a huge amount of passion and skills can go create apps and products that are used by billions of people. “That is the kind of person that all employers, including Google, look for – one with the right skills, talent and drive.